The Honda Odyssey has been a long running nameplate in the Japanese automaker’s lineup, having been introduced to the North American market back in 1994. The Odyssey is a minivan, but because it was previously on the smaller size, it was first characterized as a compact multi-purpose vehicle, or MPV. The introduction of the Odyssey to the North American market in the mid-nineties, helped to satisfy a craving for a family-friendly vehicle that exemplified practicality. The 1995 Honda Odyssey also offered a unique rear entry through hinged doors, rather than the standard sliding door of its competition. Today, the Honda Odyssey is much larger in size, produced here in the United States in Lincoln, Alabama. 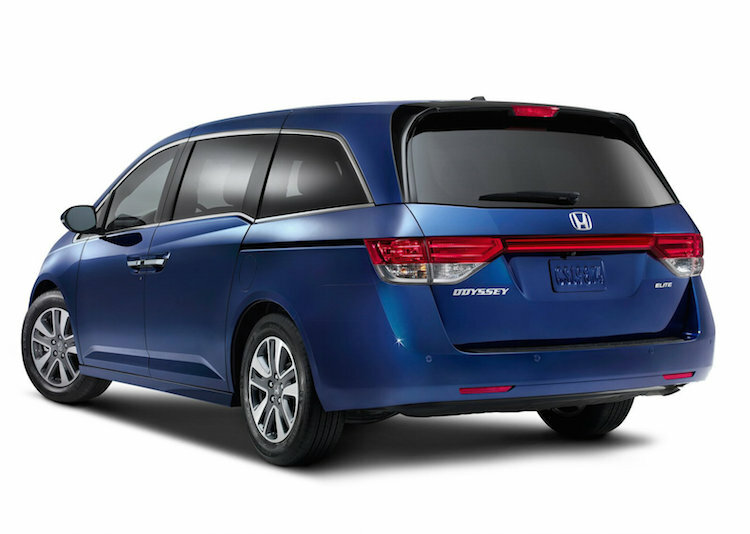 Since Honda made that switch back in 1999, the Odyssey is now a part of the large MPV segment. 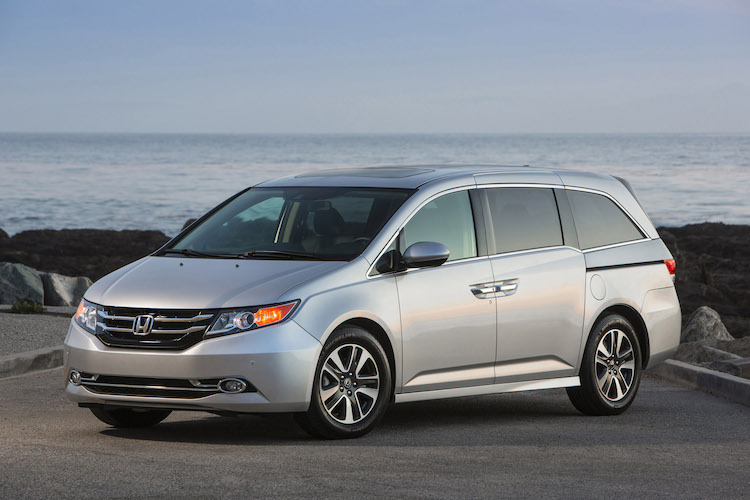 The 2015 Honda Odyssey is a year out from the mid-generational refresh, and is currently in the MPVs fourth generation. Drivers who are looking for a safe, practical, and incredibly-equipped MPV, need not look any further than the Honda Odyssey. The 2015 Odyssey LX is the base trim level offering, and comes with a great suite of standard features that are family-focused, and affordable. The 2015 Odyssey has a long list of available features, sure to satisfy the needs of various drivers and their unique family situations. With great advanced safety features, the 2015 Honda Odyssey is as safe as it is impressive. With a starting MSRP of just $28,975, the 2015 Honda Odyssey offers a great list of standard features. Equipped with a powerful V6 engine, and a 6-speed automatic transmission, the Odyssey is fully capable of hauling, transporting, and even towing - whatever it is you need. Check out all of the standard features that drivers can expect on this highly-capable, family-friendly base LX 2015 Odyssey model. As well-equipped as the base Odyssey LX comes, it is the perfect solution for families on a budget, who still want to enjoy extra amenities that typically come as optional equipment. The 2015 Honda Odyssey is packed full of standard and optional features, whether choosing the base LX model, or the luxury high-end Touring Elite trim level. Check out a few of the highlights that Honda drivers can choose when purchasing their 2015 Odyssey. Magic Seat - This one-touch 60/40 split third-row seat system, allows users to flip the back seat down with a simple one-handed touch. Cool Box - Standard on EX-L and above trim levels, this unique feature can hold up to six 12-ounce cans, or four 20-ounce bottles, and keep them chilled - whether heading across town, or across country. 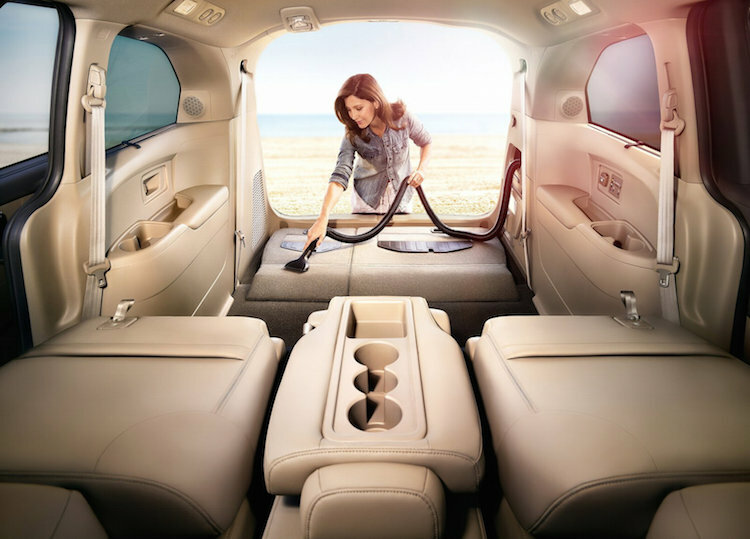 HondaVAC - The 2015 Odyssey Touring Elite is the only minivan on the market with a built-in vacuum system. Housed in the rear of the vehicle, this powerful vacuum reaches all the way to the front of the cabin, and allows for easy clean-up on the go. Multiple Cargo Configurations - With various configurations, drivers can manipulate the seating within the Odyssey to carry multiple passengers, extra cargo, or a combination of both. With all of the second and third row seating stored, there is enough floor space for a stack of 4x8 sheets of plywood to lay flat. Smart Entry - When your key fob is near your vehicle, it automatically allows you to unlock and lock your doors, without fumbling for the keys. 8-Inch Intelligent Multi-Information Display (i-MID) - This impressive technology communicates with your entire vehicle, to keep you fully informed. With incoming text message display, music information, and vehicle performance stats - drivers will always be “in the know” when it comes to their Odyssey. The 2015 Honda Odyssey is not only safe, with impressive standard and available features - it has also been recognized by multiple organizations for its overall safety, value, and family-centered style. Check out a few of the recognitions bestowed upon the 2015 Odyssey so far this year.